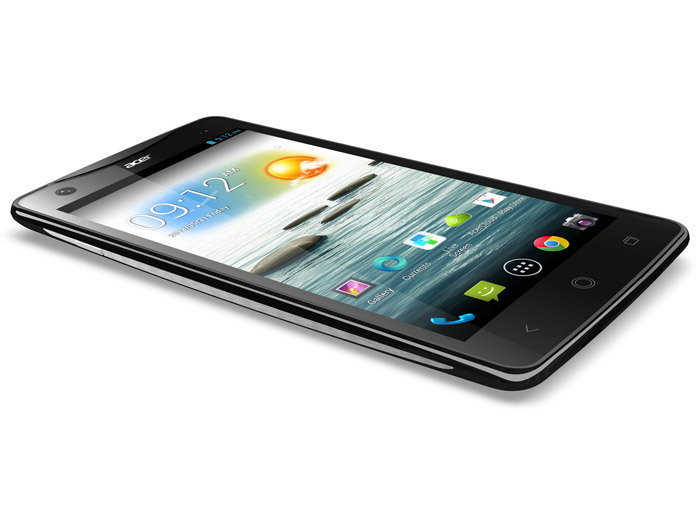 As previously expected Acer has finally unveiled the Liquid S2 smartphone. The device has been in the news lately but all speculation is over as the smartphone is now real and all the specs have been announced. Let’s find out what Acer has included in the Liquid S2. The new smartphone measures 166 x 86 x 8.99 mm and sports a large 6-inch sensor IPS display at Full HD resolution (1920 x 1080 pixels). The device is powered by a powerful Qualcomm Snapdragon 800 processor with four cores at 2.2 GHz and integrated Adreno 330 graphics. The Liquid S2 also has 2 GB of RAM, 16 GB of internal memory, a microSD card slot, 802.11n Wi-Fi, Bluetooth 4.0, NFC, a GPS receiver and a front 2 MP camera. On the back the device has a 13 MP camera and pay attention here – this camera can record videos in 4K resolution making the Liquid S2 smartphone the first ever with such a function! In addition the Liquid S2’s rear camera can shoot 360-degree pictures at 27 MP. A 3300 mAh battery powers all this hardware. The Liquid S2 is expected on the market in October 2013. Pricing is still unknown.